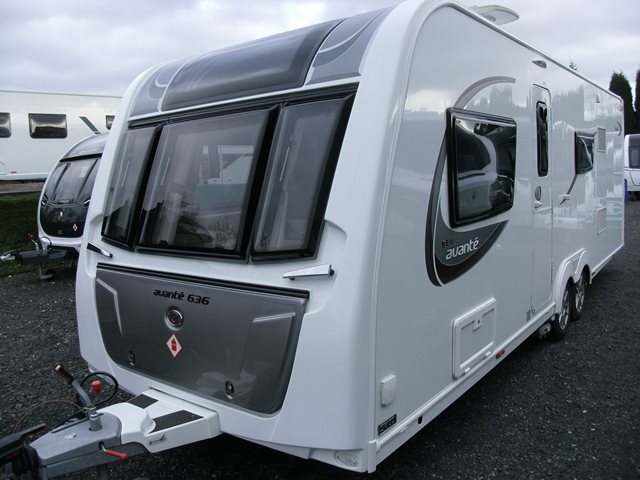 Our used Elddis Avante 636 is shown below, for more information please contact us. INCLUDES POWRTOUCH AWD MOTOR MOVER! This six berth 'van from Elddis is a mid range family caravan and features parallel bench seats to the front, 2 bunk beds, a central dinette which converts to a double, rear wash room and fully equipped kitchen. The Avante is a twin axle therefore gives you plenty of space inside, just what you need with a family of six. It is in excellent condition and includes blown air heating, front sun roof, large fridge/freezer and microwave. This 636 is also fitted with all wheel drive motor mover for easy positioning. Come on down to our Cradley Heath site and check it out. For more information please contact us on 01384 413336 and ask for a member of the sales team.